Gear S3: How do I Set GPS? The Gear has a GPS sensor. You can use apps which require your location information, such as Alti-Barometer and Speedometer, and allow others to track your location by sending an SOS message in an emergency. Virtual and Screen Images are for reference only. Alarms on my mobile device don’t sound on Gear S2. Is my device faulty? 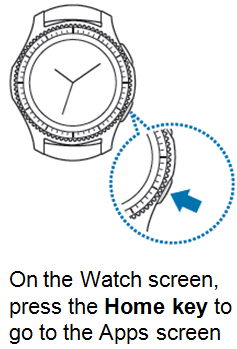 How to Activate or Deactivate Water Lock mode on Gear Fit2 Pro?